If you think that you can only get in shape with a gym and the help of a personal trainer, it’s time to take a look at the WaterRower Natural Rowing Machine. 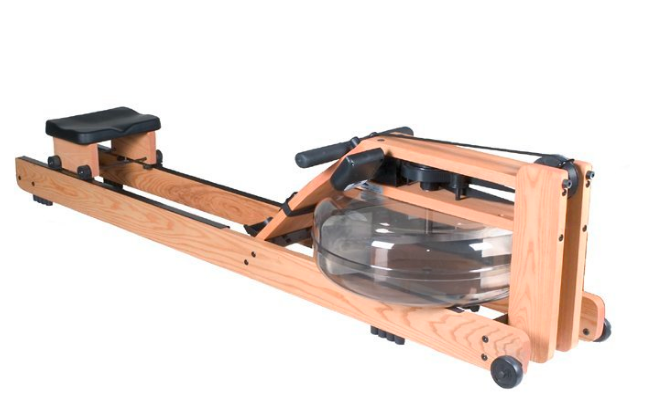 This handmade rower uses real ash wood that is more durable than metal and comes with a water flywheel tank that creates a realistic rowing experience. This model will make you love working out in the comfort of your own home. 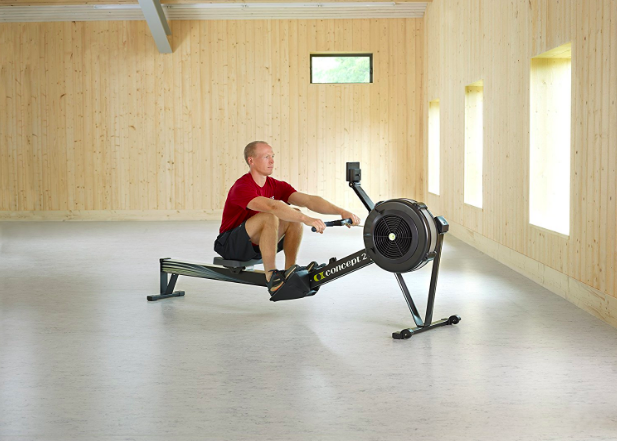 In our honest opinion, this wood rowing machine is well worth the money. While it is one of the pricier options on the market, it uses real hardwood and combines ash and oak to create a machine that absorbs both vibrations and sounds. 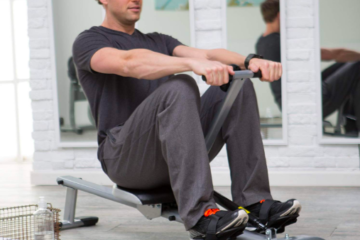 We like that it offers a more realistic rowing experience and that the water flywheel gives you all the resistance you would get while rowing on a lake. Find out more about the top features, cost and all the other information that you need to know before getting out your wallet. You can’t help but notice the water flywheel tank when looking at the Natural. This tank produces the same experiences that you would have when rowing on the open water and provides the same amount of natural resistance that you would get in the water, too. It even recreates the same sound as paddles moving through the lake or river, but the wood frame keeps you from shaking or moving during your workout. Another top feature that we like is the Series 4 performance monitor. Also called the S4 monitor, this keeps track of both your heart rate and stroke rate and can tell you more about your workout’s intensity to tell you if you pushed yourself as much as you should. This monitor updates quickly to give you real time information to let you know whether you need to amp things up or slow down a bit. Portable rowing machines like this model are good for those who have less space, too. As you can fold this machine, it’s easy to store anywhere in your home. You can store it or leave the machine sitting out and still have all the floor space that you need. The Natural from WaterRower is both reliable and very easy to use. It requires minimal set up, which appeals to those who want to get started on their workout journeys quicker, and it uses two different types of hardwoods that are more durable than the metals and plastics that other machines use. You will need to keep an eye on the flywheel though as the tank can crack. 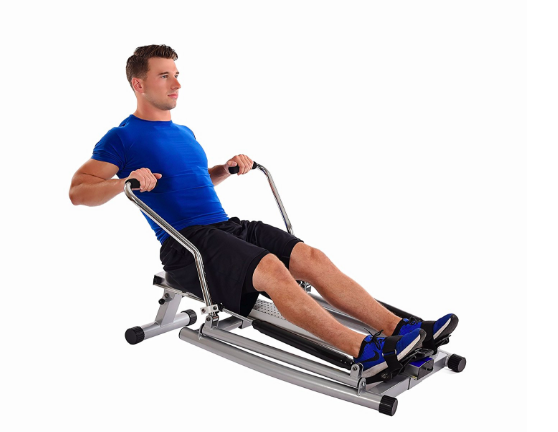 Though this is not a cheap rowing machine, it is one of the best professional models. Handmade from real hardwoods, it will last longer than cheaper models can and will give you years of use. 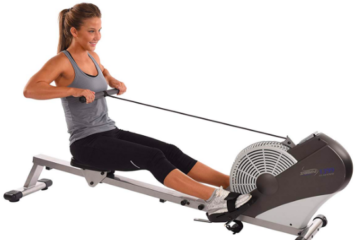 It’s one of the top rowing machines in the $1,000 to $2,000 price range. The WaterRower Natural is for those looking for a professional or commercial rowing machine because it is as dependable as those found in a gym. WaterRower chose a combination of real hardwoods that lasts years and outperforms machines that use metal or plastic parts. Though you need to pay more upfront, you’ll get more for your money. 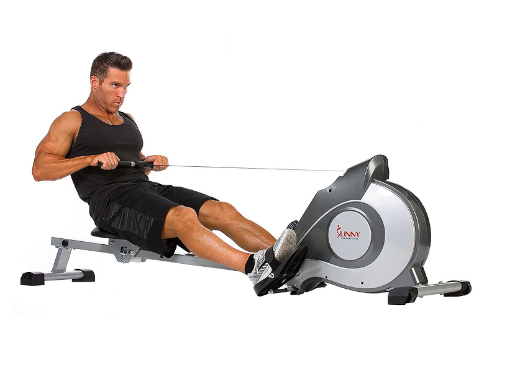 This is also a good rowing machine for those who want one that is portable because you can move it on your own and store it upright in the same place where you usually workout. We also recommend the Natural for apartment dwellers. The wood frame absorbs the noises and sounds that might otherwise disrupt your neighbors. 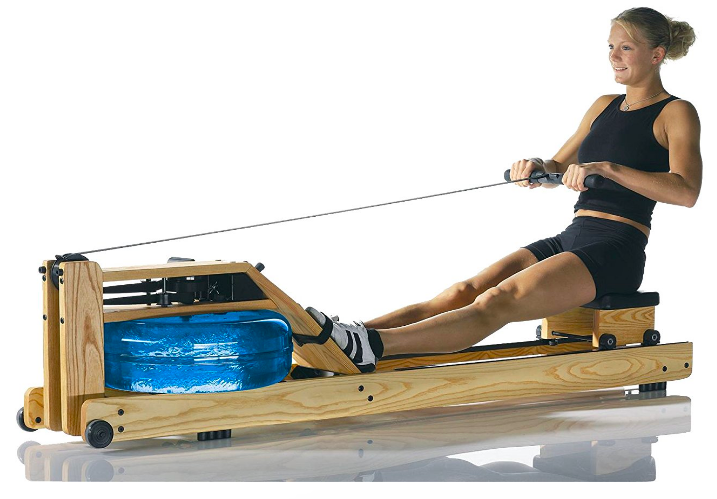 When it comes right down to it, we have to recommend the Natural from WaterRower. Finding a commercial model like the ones that gyms use is sometimes difficult, but this one provides all the same resistance settings and intense workouts that those rowers do. The top features include the wood frame and the water flywheel tank. That tank produces the same resistance that you have when rowing in a boat and produces the same sensations and sounds too. Its wood frame cuts down on the noises produced and absorbs the vibrations that can rock you out of your seat. 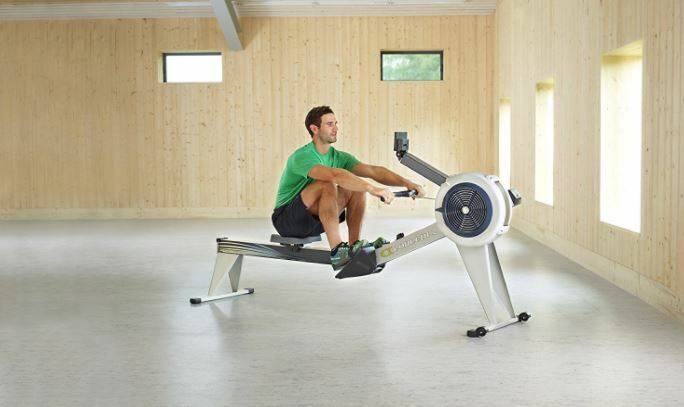 Though you probably think that you can save money with a cheap rowing machine, the Natural will last twice as long or even longer than those inexpensive models do. Using this machine in your home can help you get in shape and stay in shape. As it’s so easy to use, the Natural will make you want to sit down for a workout. If you like the look and design of the WaterRower Natural but want something a little more traditional, check out the Classic from the same company. The Classic (Check Price on Amazon.com) uses Black Walnut wood, which pairs nicely with the dark black color of the seat. It comes with the same S4 monitor too. Made by hand, the Classic has a slightly masculine look and helps you feel like you are out rowing on the water. Though this model is more expensive than the Natural, some customers found that the look design of the Classic made it well worth its higher price tag.